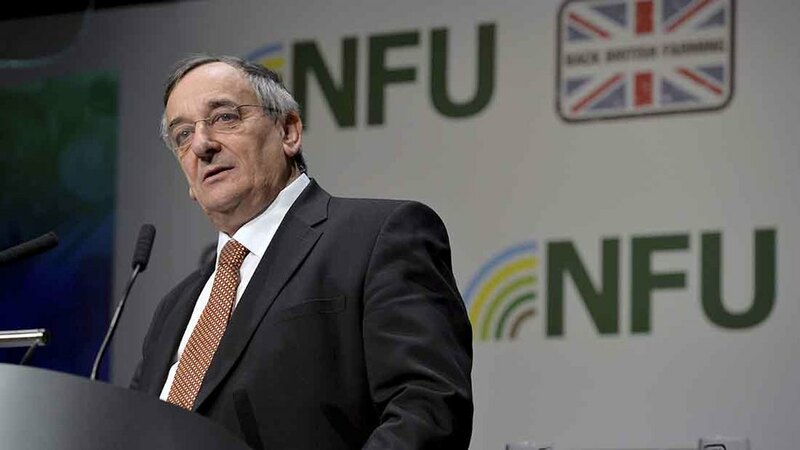 Outgoing NFU president Meurig Raymond used his final speech in the public eye to urge Defra Secretary Michael Gove to clamp down on fly-tippers. Mr Raymond’s call followed the launch of a Government consultation on waste crime and fly-tipping which proposed fines of up to £400 for people who dump their rubbish in the countryside. It is hoped that giving cash-strapped councils the power to fine fly-tippers, rather than drag them through the courts, could save money and provide a greater incentive to tackle the crime. Other proposals up for consultation include requiring the registration of low-risk waste operations which do not currently need a permit; encouraging householders to check on the Environment Agency website to see if the recipient of their waste is licensed and making it free for residents to dispose of DIY waste at council tips. Addressing Mr Gove directly, Mr Raymond said: “We urge you to sort out this problem. Take on the criminal gangs who are using the British countryside as their rubbish dump. “Gangs who think nothing of using violence and threats to terrorise farming families. Gangs who inflict massive environmental damage on our productive land and beautiful landscape. “Gangs who – if they are caught – often find it is cheaper to pay a fine than hire a skip in the first place.